If you like Mandala Art, Handmade Jewelry with Gemstones & Fairies and if you believe in the Magic of the Heart... you're in the right place. Welcome! More than just a simple chromatic pleasure, *Um Mundo Novo - A New World* is, above all, a vibe art project, where art invites us to dive deep within our inner sea ... so that we can accept, change, extend our consciousness and reach our inner peace. Each art piece created and designed by us (mandala jewelry and healing fairies) is a seed of love & awakening that we release to the world... Then it's up to each of us to make it grow... or not. We get inspiration from our passions: sacred geometry, nature, flowers, crystals, fairies, elves, dragons... magic worlds... and of course, love. In this website and in our Etsy Shop you will discover our inner artist and you will feel the way we love to express ourselves to the world, because art is magic happening and it is for us a vehicle of love, beauty and harmony... a channel to our own consciousness and a direct link to our inner being, our inner world. 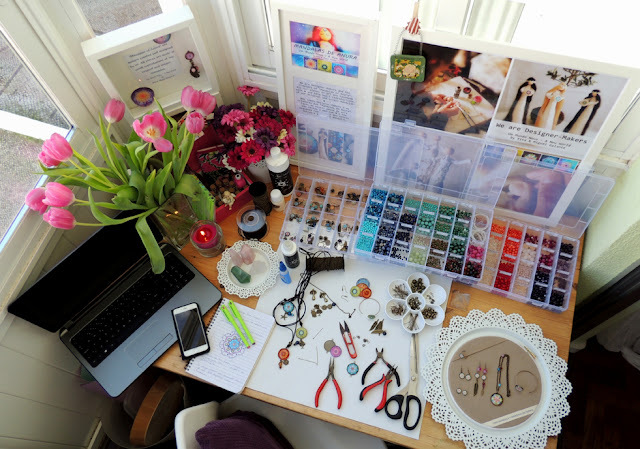 See here below our Home Studio where magic happens and where our mandala jewelry and healing fairies are created. And how can we reach A New World? their oneness with the universe. When they realize it is really everywhere. It is within each of us". © Copyright Um Mundo Novo - A New World - 2010-2017. Tema Simples. Com tecnologia do Blogger.